The time has come to examine our human subjects! 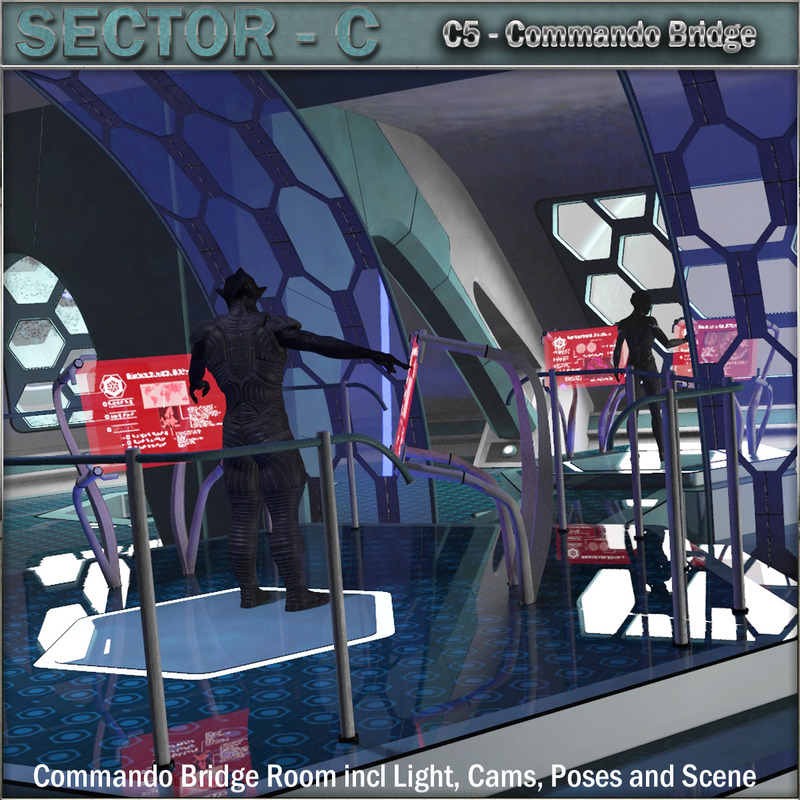 Welcome to section C4 of Sector C. This is the Alien Examination chambers! table with attached examination tentacles. 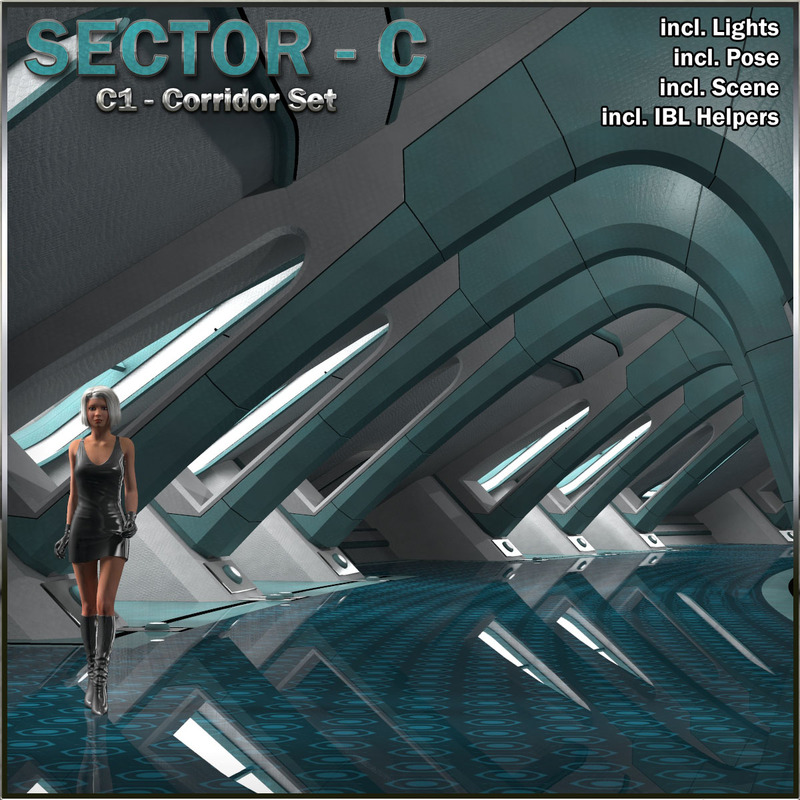 Set includes full light sets, cams, V4 preset poses and a full scene preset. All items boned. Build for Poser, loads OK in D/S. Check readme for details. Welcome to the Apartment of our C-Sector Line. 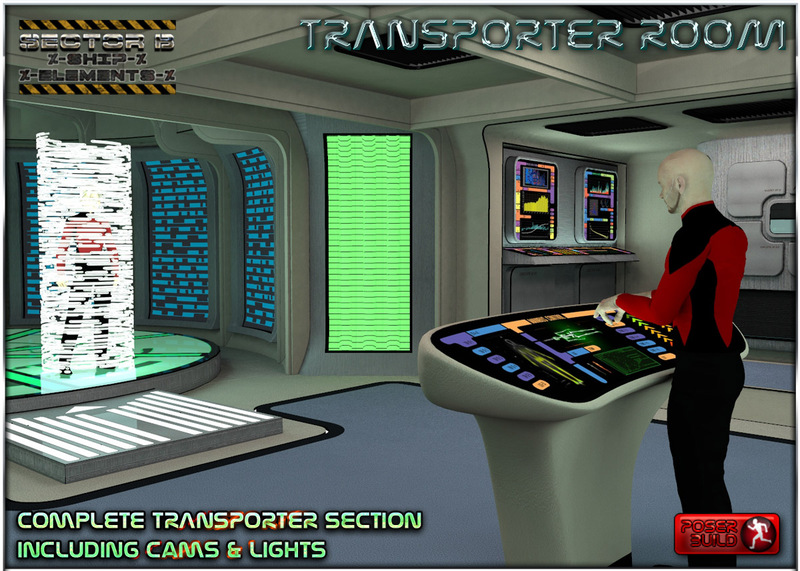 to easily create an environment for your space travelers to relax. Furniture comes as common stuff and can be used in any other sets too! Check out our large freebie section with loads of add-on stuff! large curve item of C1. Even though this is a standalone item. V4/M4 poses coming with it. Thanks for using our sets and dont miss the large set of free stuff in our freebie area!! rem. 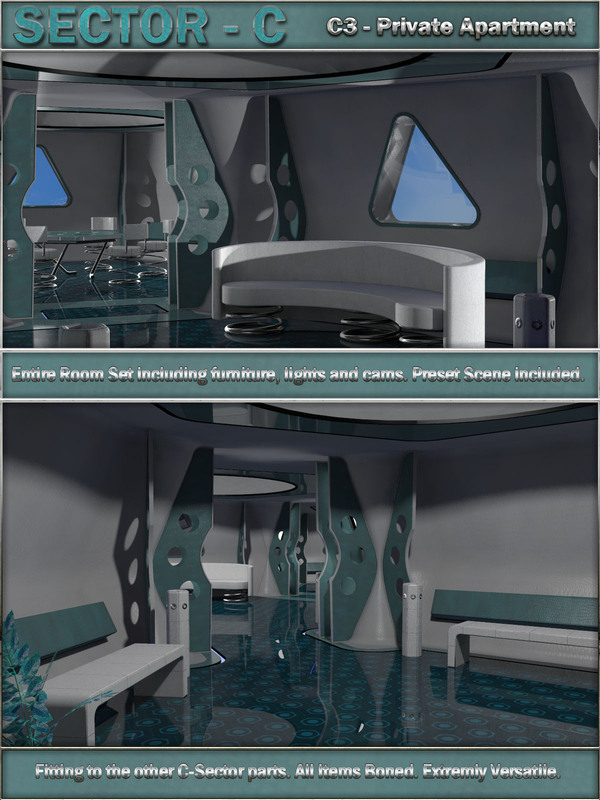 : Designed for Poser, loads OK in D/S , see readme. Original Price: FREE FOR 7 DAYS!! Here comes the Turbolift for the B-Sector. appriciate the connector, who will glew your parts together! Those of you, who dont should get the packs quickly! The Turbolift can be attached to almost all parts of the B-Sector. Preset Poses to fit to are included. The Masterdial injected will let you open the doors. to make long focal lense shots. Lift fits to other sections too, simply use the g-core bone to move along. Thanks for your usage of our sets. Check out the large freebie area for more items. 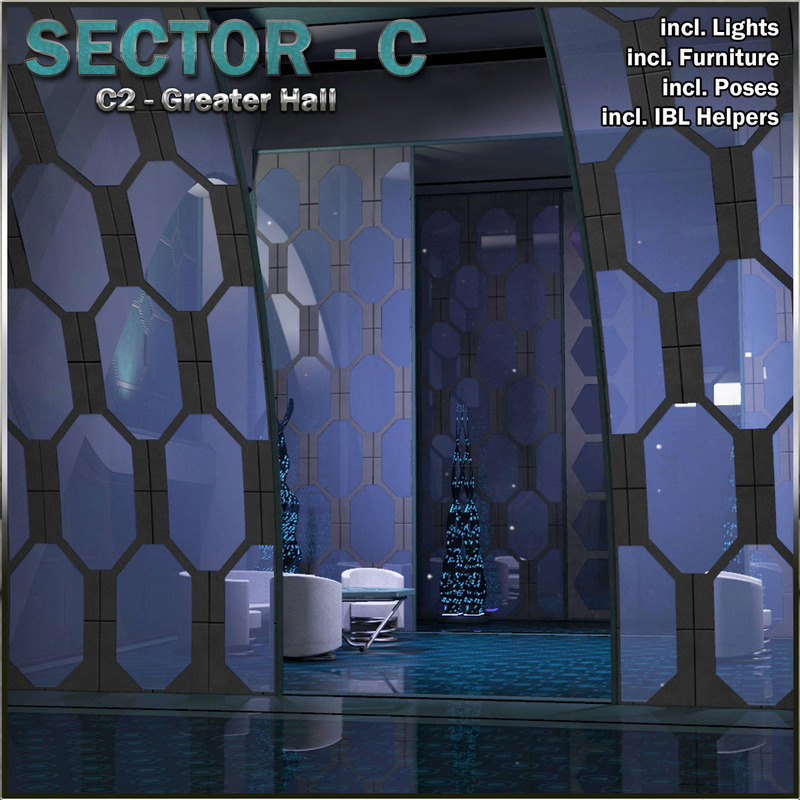 Welcome to our new C-Sector Elements Edition! but still not to be to weird. imagination to make something out of it! The design lets you quickly assemble a set, ready to render. to re-assemble, just apply a new style. Preset Scene included, ready to render. 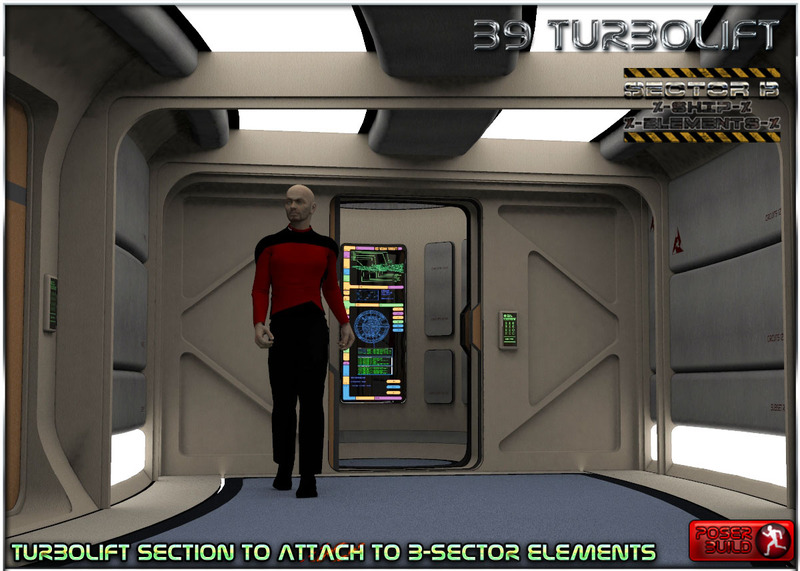 Check out our other Ship Element Series and our large freebie area! sections of the room to make long focal lense shots. Entirely designed to work for IBL: All Screens and lights contain helpers. For non IBL Renders, you have light sets included. 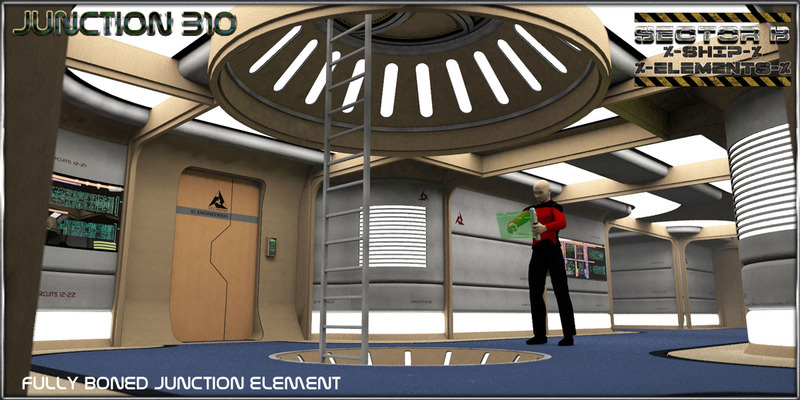 Works nicely with our other B-Sector Ship element Sets. Check our large freebie area for more stuff. Rem. : Designed for Poser, works OK in D/S, check read me for more information.